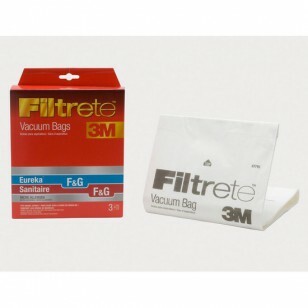 Fits select Eureka and Sanitaire models that use style F & G vacuum cleaner bags. From 3M Filtrete, 67715 vacuum bags fit into select Eureka and Sanitaire models, and effectively capture up to 94% of irritating dirt particles and indoor allergens. Ideal for those that suffer allergy symptoms seasonally from pollen or ragweed, or as a result of indoor dust. A genuine OE part designed with cutting-edge 3M technology. 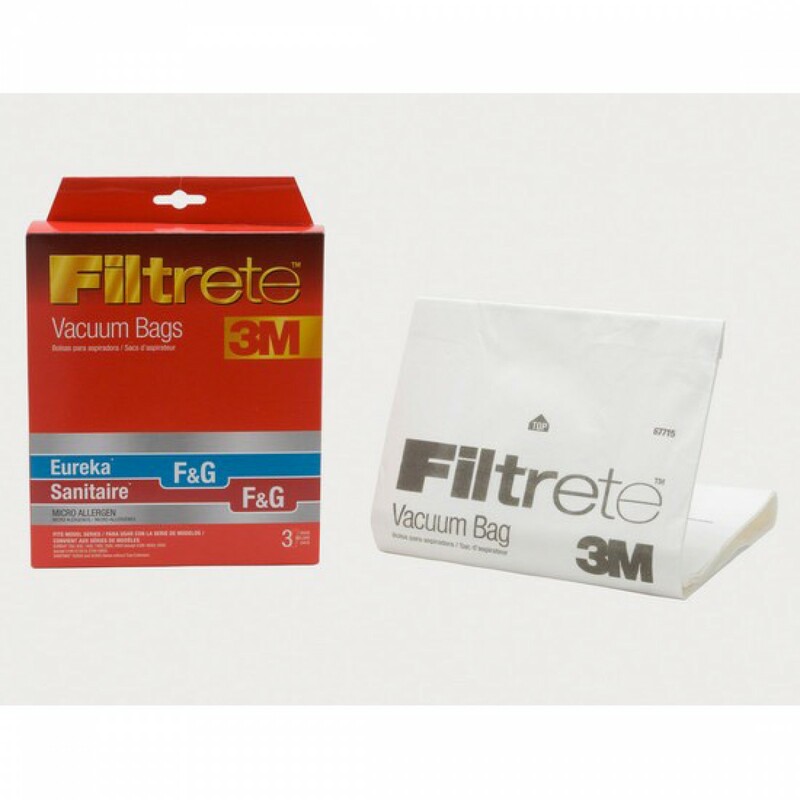 Buy the vacuum bags you need, online from us today, by adding this 3-pack of 67715 bags from 3M Filtrete to your cart today!